Recently in the light of the unveiling of a satanic statue I’ve been urged to make this article to express my own opinion on organized religion and the personal spiritual experiences I’ve had with my ego and spirit. Why the church of Satan? If you are unaware, recently a statue honoring the demonic figure of Baphomet was unveiled at a Satanic temple in Detroit, Michigan. This statue was erected to honor Satanists beliefs in hopes of causing controversy and upset with the American people and other nations as well. This post is intended to do the same thing by condemning the church of Satan and calling it out for what it is: another hypocritical organized religion made to brainwash and tax believers to fund their own interest or agendas. I will be the first to say the Satanic church is just as hypocritical as the Catholic church, if not more hypocritical than other major organized religions out there. Before I continue with my opinions, let me state the facts as to why Satanists are hypocrites. 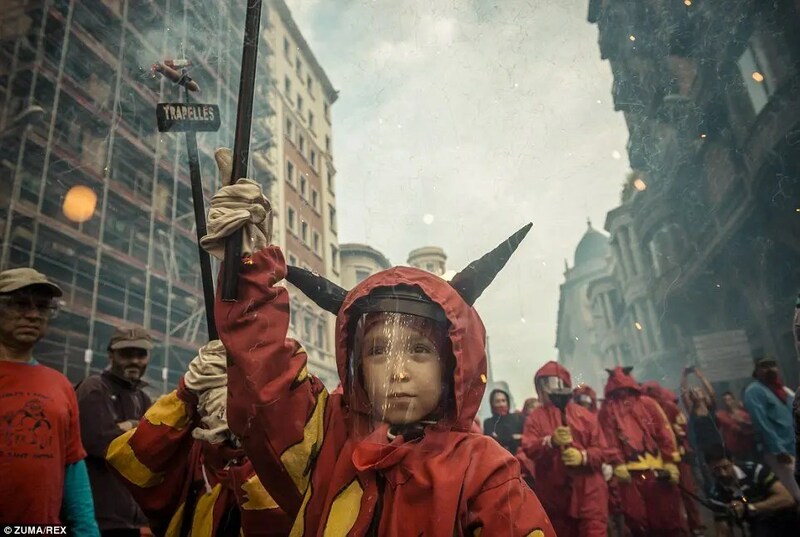 First, Satanism believes that all external gods are made by man, and by worshiping them you are essentially worshiping the people who created them. So with that said they do not believe in worshiping of any external figures or beings for their faith. Second, they boast about how their religion is decent in manner and is better for humanity as a whole, when actually the core belief of Satanism is to empower the ego and to be self-centered because essentially “you are god” and you must take care of your own before anything else. How does this help humanity? If you ask any decent true believer of Catholicism, Christianity, Judaism, Hinduism, or Paganism to cause harm to another individual, they will deny your request, but a Satanist will gladly insist on causing harm since it is in their beliefs to please the ego, and thus by definition it is not decent. Third, we go back to the first reason where they do not believe in any external figures or gods. Organized religion has long been a tactic to not only keep the masses of people suppressed, but to also tax them for their wealth while they bow down in worship. This is sickening and the church of Satan can easily be put in the same category with the Catholic hurch. Religion offers the same ecstasy that spiritualism offers, but with a more safe and comfortable construct for the human soul who seeks to fill a void. When this void is not filled naturally, the Ego starts to fill it and consumes the human, which makes them act out certain qualities that are not good for our world. Imagine a place where people only care about themselves and nobody wants to lend out a hand to give you a better experience. This is not so hard to imagine because I have felt it in music festivals, and you probably have too. How does the church of Satanism relate to music festivals? Many people have experienced the “bad vibe” you get from a certain crowd at festival. This usually is because the crowd is concerned with their ego and do not want to use their own power to help everyone else have a good time because they are more concerned about their self. This is the exact definition of the Devil that I learned through tarot cards. The 15th card of major Arcana is the devil, which depicts the image of a man and woman chained to a pedestal while the Devil sits on top watching them. The interesting thing about the card is that the shackles that are holding the man and woman are actually bigger than their heads, and they can easily take them off and walk away whenever they want. This means they were never under any external control, but they gave up their own control by themselves something external and out of their own free will. This is the real Devil and I have seen this too many times at music festivals. Because like any other decent church out there, my church of the spirit is under attack. Music festivals have been one of the most unique and spiritual places for me that have given me experiences to better understand my place in this universe, and not because of my ego, but because of the love and spirit I have seen through others attending them. (At the risk of sounding like a spiritual nut…) I will say that I have experienced the Holy Ghost at some festivals with the help my friends and other people whom I will never see or know of again. In that space and time we were on the same level or plane of being good spirits to one another in this short time we have in this world. We destroyed our egos in order to experience communion and worship for the love of being able to enjoy something with one another without having to violate the rights of others. It is so annoying and stupid when people want to ruin the experience for another just because they want to please their ego by doing something “cool” or unique, when in reality it is not and does the exact opposite by ruining the show for others. I’ve heard of many artists and fans alike who do dumb stuff just to stand out. For example, recently at Lollapalooza Travi Scott tried to cause a riot by asking people to rush the stage and Steve Aoki throwing cakes and breaking necks. Wow yeah it’s talked about but essentially what is the foundation? Ego. This eventually gets people to stop coming to concerts and festival because they want no part of it. Instead we go for the good audience with the good performance because we can share the love for one another without having to pose a fake charade to satisfy some internal force that will give nothing back. The only thing we can do to save our church of worship is to offer our beliefs in hopes of saving your soul. And no, this is not an organized religion, we are many, we do not know each other or have a specific idol or figure to worship. We come from many walks of life and many tastes of music and art, but we all resonate on a common level of wanting to appreciate and rejoice in this life. So if we cannot have you to join us then we will simply walk away and leave you to perish, for you can only help yourself by killing your ego. Until then we will be here enjoying the show.